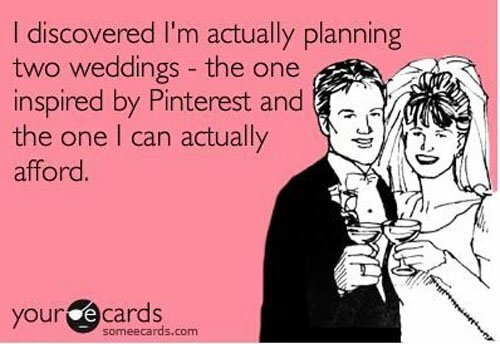 We thought we would give you a break from the wedding planning advice today and give you a laugh instead. Enjoy these silly memes, ladies. We sure got a laugh out of them. They are so true! 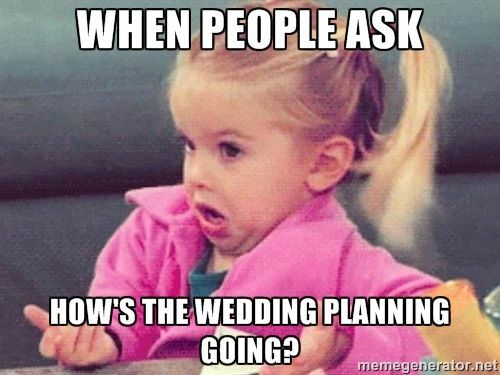 #Truth Aren’t we all her at some point in the wedding planning process? 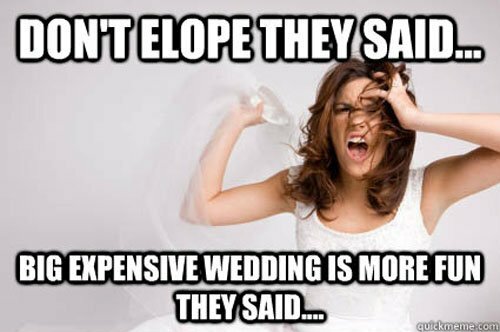 We’ve all probably felt this way at least one time during wedding planning. There’s always that one person…. 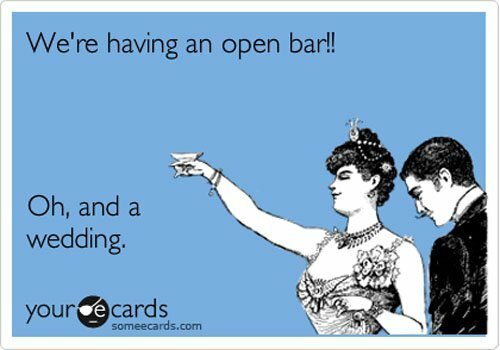 Every wedding should be open bar in my opinion. And I’ll leave you with this one. 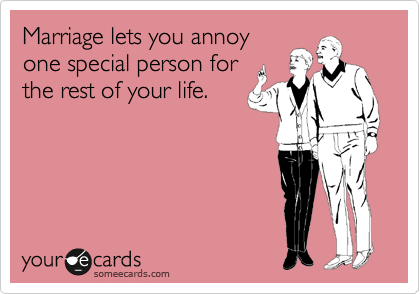 Because at the end of the day – it’s really about the marriage.